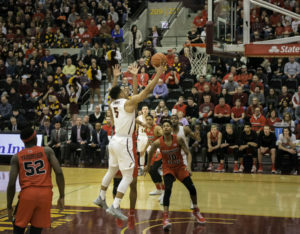 Nick Knacks: Please, Porter Moser. Don't Leave Loyola. 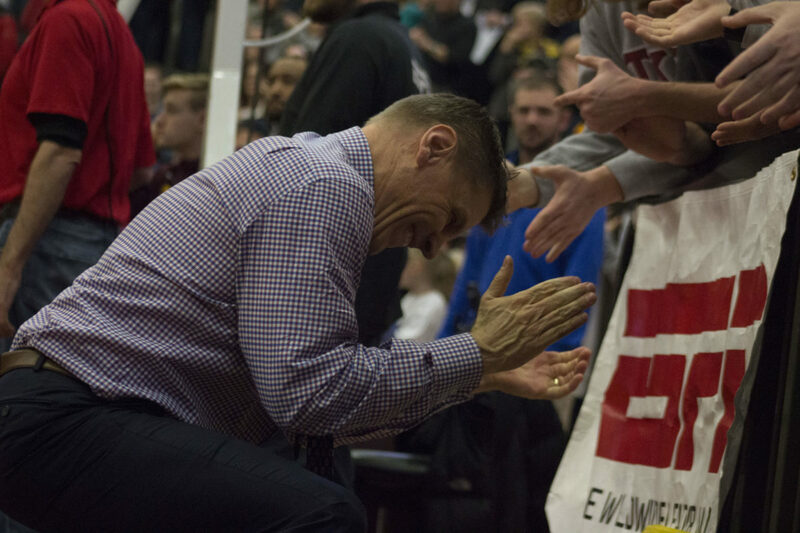 Nick Knacks: Please, Porter Moser. Don’t Leave Loyola. Henry Redman | The Phoenix Porter Moser celebrates with the students after Loyola defeated Illinois State 68-61 on senior day Feb. 24. In November, The PHOENIX reported Porter Moser made upward of $420,000 in 2016 while guiding the Loyola men’s basketball team to an 18-14 season. Now, after leading the team to the Final Four for the first time since 1963, he’s proven he deserves a raise. The big question is whether or not he’ll get it anytime soon. Loyola Athletics Director Steve Watson went on 670 The Score’s morning drive show, “Mully and Hanley,” April 6 to talk about how negotiations with Moser were going. He said things were moving quickly, but the two sides aren’t trying to rush a new deal as they want to do it the right way. Watson told The Phoenix there’s no update on the status of the negotiations as of April 16. Moser signed an extension through 2022 last season, so he’s still under contract. It’s a matter of giving him a raise to make sure he stays for more than one more season. The signing period for recruiting started April 11. These recruits need to know Moser is staying longer than one season, and the only way to convey that is to give Moser the raise he deserves. In seven seasons at the helm, Moser built the program up from practically nothing. Although Watson said Moser’s received calls from other schools since the NCAA Tournament ended, he’s not going anywhere this offseason. He doesn’t need to. If he’s happy here — and he said he is — then why leave for more money? Moser was meant to coach at Loyola — his mentor, legendary coach Rick Majerus, told him so when Moser was hired in 2011. He’s a Naperville native, where he graduated Benet Academy, and he played basketball at Creighton University, which is a Jesuit school. Between staying close to home and coaching at a faith-based university, he needs to stay at Loyola. Why would he want to leave the program he spent so much time building? In seven years, he went from going 1-17 in the Horizon League in 2011 to going 15-3 in the Missouri Valley Conference in 2018. If he went somewhere else, he’d most likely be building a program from the bottom-up again. After being on top of the world, thanks to the NCAA Tournament run, it’d be in his best interest to stick around. Loyola needs to hold up its end, though. College basketball is in a sad state given the ongoing FBI investigations revolving around high-major schools illegally paying players, meaning other coaching positions could open up at bigger programs. 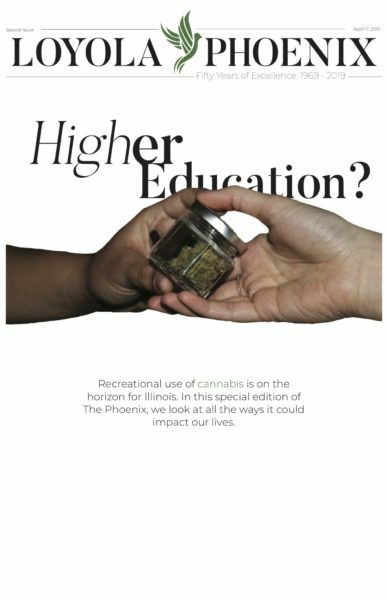 I’m looking at you, University of Arizona. If the Loyola athletics department wants Moser to be around for the foreseeable future, give the man the money he deserves. I’m not talking about paying him like Wichita State University’s Gregg Marshall’s $3 million. Not only does Loyola not have that kind of money, it’s too much to ask. I could see Loyola paying Moser around double what he makes now, which would be roughly $850,000–$900,000. In relation to other MVC schools, University of Northern Iowa coach Ben Jacobson is the highest-paid coach at $900,000 per year. Before people start asking where the money comes from, I have a feeling there are some generous alumni willing to contribute to that total. After all, sports is a big moneymaker for the school. Moser put a great product together on the floor this season — the team’s 32 wins are a program record. He should be rewarded for that success, and it needs to happen sooner rather than later, not just for recruiting, but for the program’s future. Loyola has a good chance of sitting atop the MVC standings again next year. Between the players Moser is returning and the players he’s signed during the early signing period in November, the program appears to be in a good spot. When Moser was introduced in 2011, he talked about building a sustainable program. He’s done that, and it’d be a shame to see that change because he took a better-paying job elsewhere.